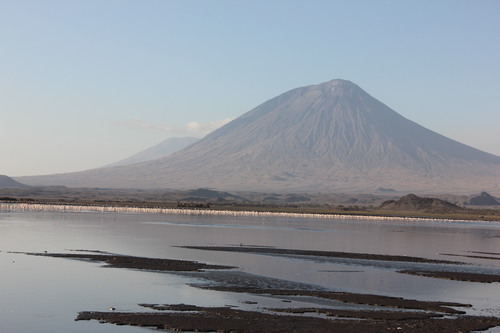 Mt Oldoinyo Lengai - view from the Natron lake. 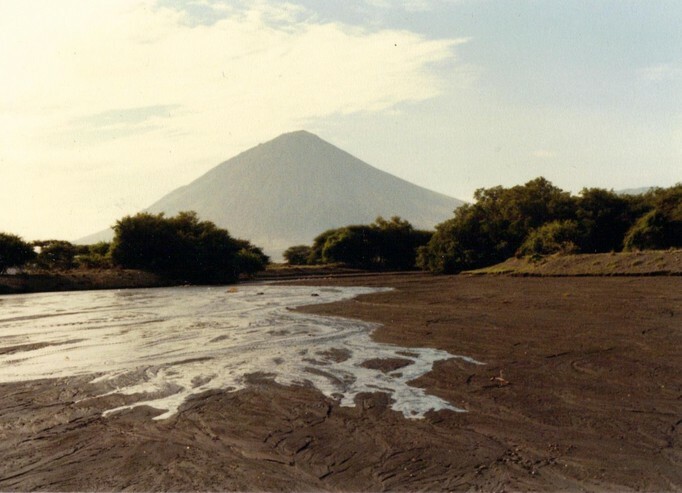 The world's only active carbonatite volcano, with jacupirangite, nepheline syenite and other rocks. Extremely alkali-rich lava, 30 % Na2O. 61 valid minerals. 4 (TL) - type locality of valid minerals. Reference: Wiedenmann D, Zaitsev A N, Britvin S N, Krivovichev S V, Keller J (2009) Alumoåkermanite, (Ca,Na)2(Al,Mg,Fe2+)(Si2O7), a new mineral from the active carbonatite-nephelinite-phonolite volcano Oldoinyo Lengai, northern Tanzania. 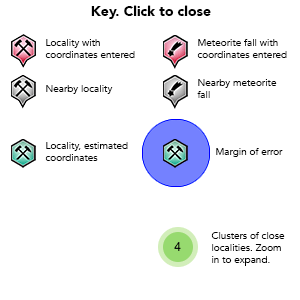 Mineralogical Magazine 73, 373-384; Mattsson, H. B., & Reusser, E. (2010). Mineralogical and geochemical characterization of ashes from an early phase of the explosive September 2007 eruption of Oldoinyo Lengai (Tanzania). Journal of African Earth Sciences, 58(5), 752-763. Reference: Mitchell, R.H. (2000) "The July 2000 expedition to the natrocarbonatite volcano Oldoinyo Lengai. Newsletter of the Mineralogical Association of Canada, # 63 (Dec. 2000). ; Mineralogical Magazine 1997 61 : 779-789; Mitchell, R. H. (1997). Carbonate-carbonate immiscibility, neighborite and potassium iron sulphide in Oldoinyo Lengai natrocarbonatite. Mineralogical Magazine, 61(6), 779-789.; Mattsson, H. B., & Reusser, E. (2010). Mineralogical and geochemical characterization of ashes from an early phase of the explosive September 2007 eruption of Oldoinyo Lengai (Tanzania). Journal of African Earth Sciences, 58(5), 752-763.; Jago, B. C., & Gittins, J. (1999). 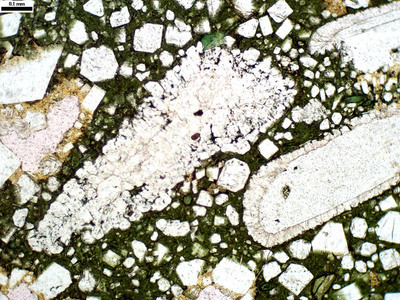 Mn-and F-bearing rasvumite in natrocarbonatite at Oldoinyo Lengai volcano, Tanzania. Mineralogical Magazine, 63(1), 53-55. Reference: Zaitsev, A. N., & Keller, J. (2006). Mineralogical and chemical transformation of Oldoinyo Lengai natrocarbonatites, Tanzania. Lithos, 91(1), 191-207. 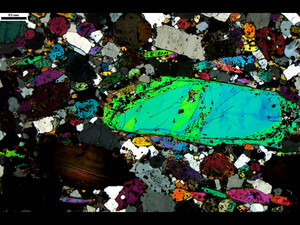 Reference: www.koeln.netsurf.de/~w.steffens/other.htm; Mineralogical Magazine 1997 61 : 779-789; Mitchell, R. H. (1997). Carbonate-carbonate immiscibility, neighborite and potassium iron sulphide in Oldoinyo Lengai natrocarbonatite. Mineralogical Magazine, 61(6), 779-789. Reference: Zaitsev, A. N., & Keller, J. (2006). Mineralogical and chemical transformation of Oldoinyo Lengai natrocarbonatites, Tanzania. Lithos, 91(1), 191-207.; Mattsson, H. B., & Reusser, E. (2010). Mineralogical and geochemical characterization of ashes from an early phase of the explosive September 2007 eruption of Oldoinyo Lengai (Tanzania). Journal of African Earth Sciences, 58(5), 752-763. Reference: Keller, J., & Zaitsev, A. N. (2006). Calciocarbonatite dykes at Oldoinyo Lengai, Tanzania: the fate of natrocarbonatite. The Canadian Mineralogist, 44(4), 857-876.; Zaitsev, A. N., & Keller, J. (2006). Mineralogical and chemical transformation of Oldoinyo Lengai natrocarbonatites, Tanzania. Lithos, 91(1), 191-207.; Mattsson, H. B., & Reusser, E. (2010). Mineralogical and geochemical characterization of ashes from an early phase of the explosive September 2007 eruption of Oldoinyo Lengai (Tanzania). Journal of African Earth Sciences, 58(5), 752-763. Reference: Mattsson, H. B., & Reusser, E. (2010). Mineralogical and geochemical characterization of ashes from an early phase of the explosive September 2007 eruption of Oldoinyo Lengai (Tanzania). Journal of African Earth Sciences, 58(5), 752-763. 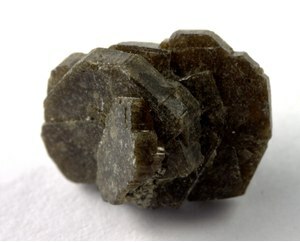 Description: Occurs in a solid solution with niocalite. Reference: Mitchell, R.H. and Belton, F. (2004) Niocalite-cuspidine solid solution and manganoan monticellite from natrocarbonatite, Oldoinyo Lengai, Tanzania. Mineralogical Magazine: 68: 787-799.; Mattsson, H. B., & Reusser, E. (2010). Mineralogical and geochemical characterization of ashes from an early phase of the explosive September 2007 eruption of Oldoinyo Lengai (Tanzania). Journal of African Earth Sciences, 58(5), 752-763. Reference: Zaitsev (2012): Mineral chemistry and crystal structure of haüyne from the Oldoinyo Lengai volcano, northern Tanzania. Eifel-Symposium 2012, "Variability and complexity of minerals and their synthetic analogues of the Vulkaneifel and related provinces”, Christian Albrechts University, Kiel, 23.04. - 30.04.2012. Reference: Zaitsev, A.N., Britvin, S.N., Kearsley, A., Wenzel, T. and Kirk, C. (2015) Jörgkellerite, IMA 2015-020. CNMNC Newsletter No. 26, August 2015, page 942; Mineralogical Magazine, 79, 941-947; Zaitsev, A.N., Britvin, S.N., Kearsley, A., Wenzel, T., Kirk, C. (2017): Jörgkellerite, Na3Mn3+3(PO4)2(CO3)O2·5H2O, a new layered phosphate-carbonate mineral from the Oldoinyo Lengai volcano, Gregory rift, northern Tanzania. Mineralogy and Petrology 111, 373–381. Reference: Martínez-Frías, J., Benito, R., Wilson, G., Delgado, A., Boyd, T., and Marti, K. (2004): Journal of Materials Processing Technology 147, 204–210. ; Henderson, C. M. B., Kogarko, L. N., & Plant, D. A. (1999). Extreme closed system fractionation of volatile-rich, ultrabasic peralkaline melt inclusions and the occurrence of djerfisherite in the Kugda alkaline complex, Siberia. Mineralogical Magazine, 63(3), 433-438. Reference: Mitchell, R.H. (2006) Mineralogy of stalactites formed by subaerial weathering of natrocarbonatite hornitos at Oldoinyo Lengai, Tanzania. Mineralogical Magazine: 70: 437-444; Zaitsev, A. N., & Keller, J. (2006). 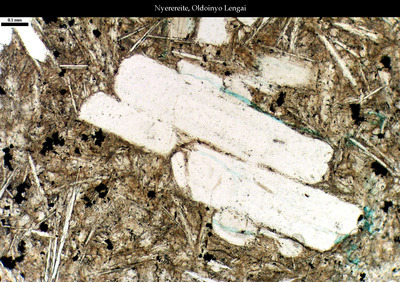 Mineralogical and chemical transformation of Oldoinyo Lengai natrocarbonatites, Tanzania. Lithos, 91(1), 191-207. Description: Occurs in a solid solution with cuspidine. Description: Carbonatite lava, 1963 flow. Reference: www.koeln.netsurf.de/~w.steffens/other.htm; Henderson, C. M. B., Kogarko, L. N., & Plant, D. A. (1999). Extreme closed system fractionation of volatile-rich, ultrabasic peralkaline melt inclusions and the occurrence of djerfisherite in the Kugda alkaline complex, Siberia. Mineralogical Magazine, 63(3), 433-438.; Mattsson, H. B., & Reusser, E. (2010). Mineralogical and geochemical characterization of ashes from an early phase of the explosive September 2007 eruption of Oldoinyo Lengai (Tanzania). Journal of African Earth Sciences, 58(5), 752-763. Reference: Mineralogical Magazine 1997 61 : 779-789; Mitchell, R. H. (1997). 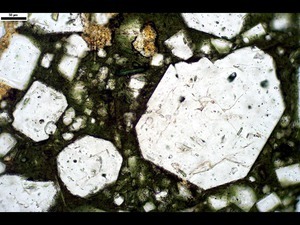 Carbonate-carbonate immiscibility, neighborite and potassium iron sulphide in Oldoinyo Lengai natrocarbonatite. Mineralogical Magazine, 61(6), 779-789. Reference: Mineralogical Magazine 1997 61 : 779-789; Mitchell, R. H. (1997). Carbonate-carbonate immiscibility, neighborite and potassium iron sulphide in Oldoinyo Lengai natrocarbonatite. Mineralogical Magazine, 61(6), 779-789.; Mattsson, H. B., & Reusser, E. (2010). Mineralogical and geochemical characterization of ashes from an early phase of the explosive September 2007 eruption of Oldoinyo Lengai (Tanzania). Journal of African Earth Sciences, 58(5), 752-763. Reference: www.koeln.netsurf.de/~w.steffens/other.htm; Henderson, C. M. B., Kogarko, L. N., & Plant, D. A. (1999). Extreme closed system fractionation of volatile-rich, ultrabasic peralkaline melt inclusions and the occurrence of djerfisherite in the Kugda alkaline complex, Siberia. Mineralogical Magazine, 63(3), 433-438.; Wiedenmann D, Zaitsev A N, Britvin S N, Krivovichev S V, Keller J (2009) Alumoåkermanite, (Ca,Na)2(Al,Mg,Fe2+)(Si2O7), a new mineral from the active carbonatite-nephelinite-phonolite volcano Oldoinyo Lengai, northern Tanzania. Mineralogical Magazine 73, 373-384; Mattsson, H. B., & Reusser, E. (2010). Mineralogical and geochemical characterization of ashes from an early phase of the explosive September 2007 eruption of Oldoinyo Lengai (Tanzania). Journal of African Earth Sciences, 58(5), 752-763. Jago, B. C., & Gittins, J. (1999). 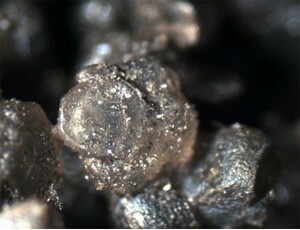 Mn-and F-bearing rasvumite in natrocarbonatite at Oldoinyo Lengai volcano, Tanzania. Mineralogical Magazine, 63(1), 53-55. Genge MJ, Balme B, Jones AP (2001): Salt-bearing fumarole deposits in the summit crater of Oldoinyo Lengai, Northern Tanzania: Interactions between natrocarbonate lava and meteoric water. J. Volcanology 106, 111-122. Keller, J., & Zaitsev, A. N. (2006). Calciocarbonatite dykes at Oldoinyo Lengai, Tanzania: the fate of natrocarbonatite. The Canadian Mineralogist, 44(4), 857-876. Zaitsev, A. N., & Keller, J. (2006). Mineralogical and chemical transformation of Oldoinyo Lengai natrocarbonatites, Tanzania. Lithos, 91(1), 191-207. Anatoly N. Zaitsev, A.N., Zaitseva, O.A., Buyko, A.K., Keller, J., Klaudius, J. and Zolotarev. (2009). Gem-quality yellow-green hauyne from Oldoinyo Lengai volcano, Nothern Tanzania. Gems & Gemology, 45(3), 200-203. Bosshard-Stadlin, S. A., Mattsson, H. B., & Keller, J. (2014). Magma mixing and forced exsolution of CO 2 during the explosive 2007–2008 eruption of Oldoinyo Lengai (Tanzania). 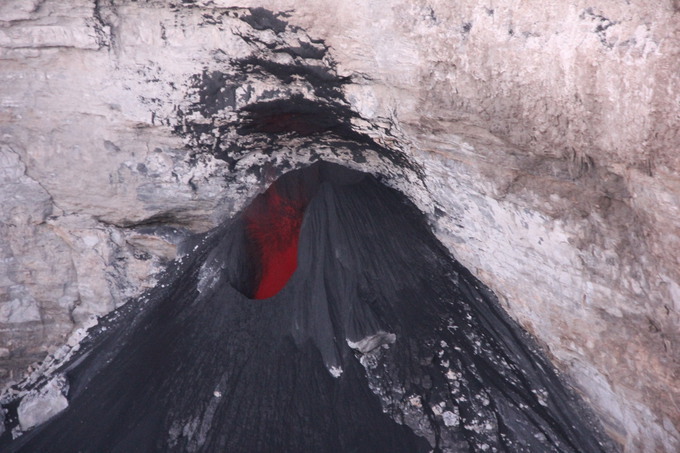 Journal of Volcanology and Geothermal Research, 285, 229-246. Zaitsev, A.N., Britvin, S.N., Kearsley, A., Wenzel, T., Kirk, C. (2017): Jörgkellerite, Na3Mn3+3(PO4)2(CO3)O2·5H2O, a new layered phosphate-carbonate mineral from the Oldoinyo Lengai volcano, Gregory rift, northern Tanzania. Mineralogy and Petrology 111, 373–381.